It is expected that by the end of this year, the smartphone owners will amount to 2 billion people. Also, Android operating system users will be more than 1.5 billion. 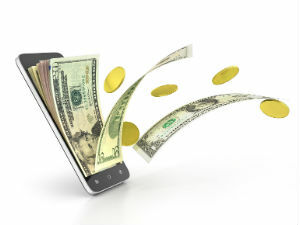 Moreover, it is forecasted that total income generated by mobile apps will be more than 45 billion dollars. In addition, 65 billion apps were downloaded on Google Play in the year 2015. The majority of these users are from the Brasilian, Indian, Mexican, Indonesian or Turkish market. With such high numbers, it is no surprise making monetary gains over Android comes to minds of companies or individuals who want to earn an income with their apps. So let us show you a couple ways on how to make money with Android Apps? How to make money with Android Apps? Each mobile app store has dynamics unique to themselves. Those who want to have Android apps first need to inspect Google Play’s dynamics and form their strategies by the insights they gain. Defining the income model is the first step of the process. First getting your Android app ready to be published, and then choosing your income model may not be very efficient as it would slow the process down. If you, instead, form your strategy on what income model will you make your revenue with your Android app, you can both create a more user-friendly app and give a chance for making more income. You may begin by inspecting all the apps that might be an alternative to yours, including your competitors. While it may not be easy to predict how much income your competitors make, you can still determine their income model strategies. This way, you can find out the points they lack in their models and may highlight these points in your app. How to choose income model for Android apps? – What issue will be solved by the app you create? – What differentiates your app from your competitors? – Would users be willing to pay for that feature? – After downloading or purchasing your app, what else can users pay for? – Which income models are being used by your competitors? In-app ad revenues can be earned by an ad being displayed or by a click on the ad by users. Advertisers choose to pay per display, per click, or according to other criteria for ads that will be shown in the app. This advertising model has often used apps that are kept running for long times like games. Downloading the mobile apps built on a freemium model is free. However, to use certain features, users would need to pay the price. It is possible to say this is the most common among the income model among the revenues made by apps. If you prefer to use the Freemium revenue model, you can publish your Android app with fundamental features, and channel them into in-app purchases for more. As can be inferred from the title, paid apps depend on the model of users having to buy the app to start using it. If you are going to publish a paid app, it will need to be functional, and users will need to be open-minded enough to persuade the users to pay its price. Having positive user comments and a high rating score for your app on Google Play page may help with convincing users to pay. In-app purchase model is an alternative that offers optional features for sale. You can see this type most often in mobile games. Depending on the genre of game, users can buy new weapons, content, and levels. This way, sales can be recurring, and income might be increased. Aside from games, other categories of apps such as maps or productivity apps may also make use of this model. It is expected that by the end of 2016, in-app purchase model will amass worldwide 24 billion dollars of income. It also shines as one of the most lucrative income models, providing app publishers with 20 times more income than paid apps. In apps with a membership model, content or features may be purchased to be available for a certain period. This model, which may also be named “Pay Wall” might be likened to the freemium model. However, it should not be forgotten that it is only valid for content. If you are providing via your app content like music, video, photos or articles, and want to generate an income with it, you can make use of this model. You need to ensure that the income model you choose for your Android app to generate an income is suitable for your business plans. Whichever model you may choose, it is possible to increase the income your app makes by continuously inspecting data you gain and optimizing your ads. If you want to make money by creating mobile apps too, you can have your app in minutes with MobiRoller. Create a MobiRoller account right now, and take your place in app stores right away.